Six Iranian men have been found on a beach in southeastern England, according to British officials, as the number of migrants making crossings of the English Channel in small boats from France continues to rise. The United Kingdom’s Home Office said on Sunday the men had been given medical checks and turned over to immigration officials for processing. Border Force officials were called on Sunday morning after the men were found on a beach in Kent with a rigid-hulled inflatable boat. 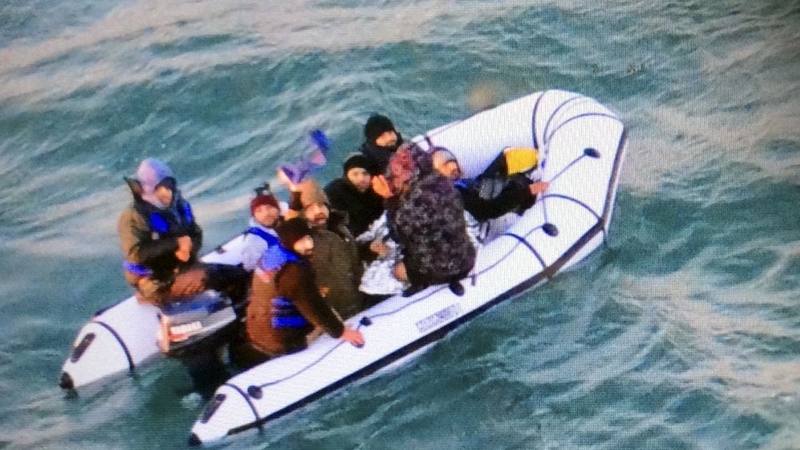 In another recent incident, eight Iranian men were spotted in a small boat near the busy port of Dover on Friday and brought ashore for medical assessments and immigration interviews. About six hours earlier, border officials detained a Syrian and three Iranians encountered on a dinghy in a nearby area. On Thursday, 23 Iranians were discovered in three locations in Kent. On Tuesday, French authorities rescued eight migrants, including two children, after their engine failed off the port of Calais as they tried to make a similar crossing. British Home Secretary Sajid Javid on Friday called the crossings a “major incident” and reached out to French officials for more coordination. He has appointed a commander to oversee the response to the incidents and asked for daily updates. Javid is also assessing whether to deploy additional border enforcement vessels in the Channel amid fears that incidents such as these could encourage more people to try to make the crossing. The crossing is risky because of rough seas and a high volume of commercial and ferry traffic.